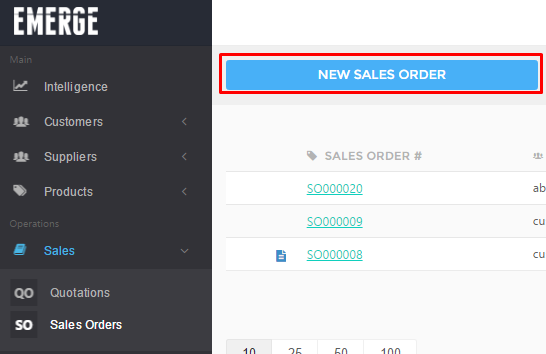 Adding sales order can be done manually outside of your integrated Sales Channel. Fill up the necessary fields and click Save. The new sales order will be displayed in the sales order listing page. The customer to issue the sales order to. If you have stored a customer’s address info, it will be populated automatically. You may overwrite the populated address info by clicking the Pencil icon. You can enter it manually by clicking Select Address if no address is present. Specify who to attention the document to. If you have added one or more contact details for the selected customer, you will be able to select them from the list. Specify the delivery terms (e.g. FOB / EXW). 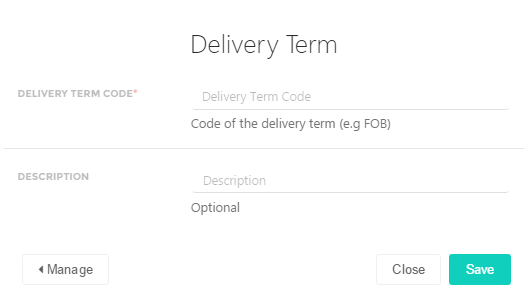 You may create new delivery terms by clicking Add at the bottom right corner of the drop down list. Specify the salesperson who made the sales. Specify when payment is due for the sales orders. Select a value in the drop down list. 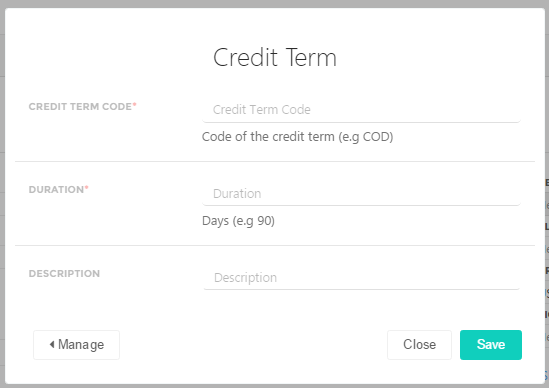 You may create new credit terms by clicking Add at the bottom right corner of the drop down list. 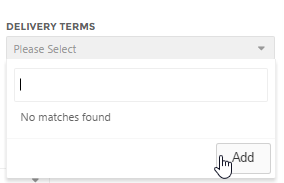 Tag attributes can be used as filters in the product listing page advanced search feature, multiple tags are allowed for a single product. Specify the currency used for making the sales transaction. In the sales report, all sales figures will remain as the application base currency. All sales transactions in the sales report will be converted to default currency based on the value of the Exchange Rate field of each respective order. Xero handles different currencies and converts the invoices pushed from EMERGE App. You can apply custom charges such as Freight, Service, Insurance…etc to your sales order. Custom charges will be added as line items. Select a product from the drop-down list, you may enter your product name or keyword into the given text field to search for the product. 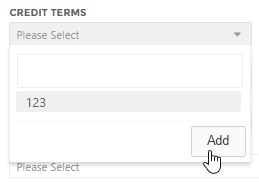 If the required product is not listed, click Add at the bottom right corner of the drop-down list to add a new product. Specify the selling unit if applicable. If the product selected has more than one selling unit, you will be able to select a different unit from a drop down list. No drop-down list will be displayed If there’s only one sellable unit. Specify the selling price of the product. If you have already specified a default selling price for your selected product, the unit price will be auto-populated. You may however, overwrite the price should you require to. Specify the quantity you are selling. Your product base unit of measurement (UOM) is set at 1 unit by default, therefore selling products in base unit is straightforward. However, take into consideration that if you are selling in units, the selling quantity will be represented in the unit you specify. The product base unit is ‘Bottle’ which is set at 1 unit by default. You added an additional unit call ‘Carton’ and set a value of 12 units which simply refers to as 1 carton contains 12 units. When you specify your unit as ‘Carton’ and a quantity of 1 to sell, it refers to as selling 1 carton(not your base unit of 1 bottle) which is equivalent to selling 12 bottles. You can apply a discount for each line item you sell. Discount can be specified in either Percentage or Fixed value. To apply the same discount amount for all line items, apply a discount on any of the line items and check the Apply to all box. Select a tax value from the drop down list, if the required tax is not listed, click Add at the bottom right corner of the drop-down list to add a new tax. Tax can be applied to a sales order as a whole or on individual line items. To apply a single tax amount to your sales order as a whole, apply a tax on any of the line items and check the Apply to all box. Tax amount can be applied as inclusive or inclusive. A tax inclusive amount will be calculated as part of the total price. A tax exclusive excludes the tax amount from your total price and incurred as a separate amount. 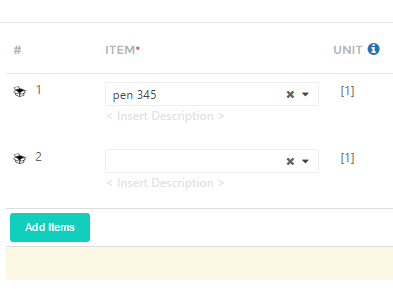 To add line items, click Add Item at the bottom left corner below your last line item.